The Senior Associate Director, Major Gifts, Applied Sciences is responsible for managing relationships with donor prospects determined to have the ability to make special gifts at the $20K to $100K level and managing individual, corporate and foundation prospects at the major gift level ($100K or higher) by developing and implementing strategies for securing financial support from a portfolio of donor prospects including identifying, qualifying, cultivating, soliciting, and stewarding these relationships. The incumbent provides support to and works in partnership with a Faculty or departmental team comprised of professional and academic staff or as a member of the central Advancement team to develop and implement strategies that facilitate and generate maximum support for the Faculty and/or University. Manages relationships and devises appropriate strategies in consultation with the supervisor to bring donor prospects and individuals to solicitation and closure that are determined to have the ability to make special gifts to the University at the $10K to $100K level. Develops, manages and nurtures a pool of approximately 100 - 150 active individual gift prospects including alumni and community leaders, foundations, and corporations capable of donating annual gifts of $10K or greater through the donor cycle of qualifying, cultivating, soliciting, and stewarding major gifts for the University. Manages major corporate sponsorship relationships and devises appropriate strategies in consultation with the supervisor to bring these relationships to solicitation and closure that are determined to have the ability to sponsor the University at the $20K plus level annually. Manages fundraising goals of new and upgraded commitments (approximately $1M - $1.5M annually) with a range of prospects. Provides leadership and supervision to staff and volunteers to ensure the effective implementation of all programs and appropriate donor recognition and stewardship. Tracks and monitors the progress of solicitations and prepares reports. Attends and contributes to strategy and development meetings, staff meetings and target meetings. Undergraduate degree in a relevant discipline and four years of related fundraising experience, or an equivalent combination of education, training, and experience. International development experience will be an asset. Excellent interpersonal, communication (oral and written), and relationship management skills. Excellent research, solicitation, and cultivation skills. Excellent organizational, problem-solving, and analytical reasoning skills. Excellent human resource management and teamwork skills. 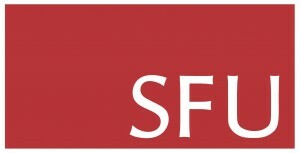 Simon Fraser University offers a competitive compensation and benefit package including four weeks of vacation, a 100% employer contributed defined benefit pension, and tuition waivers.